The subject of this talk is Islamic modernism (1840-1940), the religio-political movement that first attempted to reconcile Islam in the modern period with western values, such as secularism, modern science, democracy, and womens rights. This movement coincided with the dissolution of Ottoman, Mughal, and Safavid empires, and the consolidation of British and French rule in India, the Middle East, and North Africa. It was at this time that Muslims began to define Islam as a religion. These productive and often antagonistic discussions about Islam as a religion were initiated by a contingent of prominent Muslim intellectuals, primarily in Egypt and India. In Egypt, this line of thinking started with Jamal al-din Afghani (1838-1897), and then continued with his student Muhammad Abduh (1849-1905), and Muhammad Abduhs student, Rashid Rida (1865-1935). In India, the seminal voices of modernist Muslim thought were those of Syed Ahmad Khan (1817-1898) and Muhammad Iqbal (1877-1938). In this talk, I discuss how many of these Muslim reformers outlined their conception of Islam through a specific reinterpretation of the Quranic idea of tauhid (unity of God) as political unity of the modern Muslim community. The modernists redefinition of tauhid as political unity served as the conceptual medium through which they asserted the exclusive authority of the Quran, denounced religious practices associated with popular Sufism and Shiism, and criticized all forms of mediating authority (such as imams, pirs, and ulama). The Protestant impulse at work in their new conception of tauhid ultimately demarcated a Muslim political majority from minority groups that were perceived to transgress the boundaries of this definition, such as the Ahmadis, Ismailis, and Bahais. 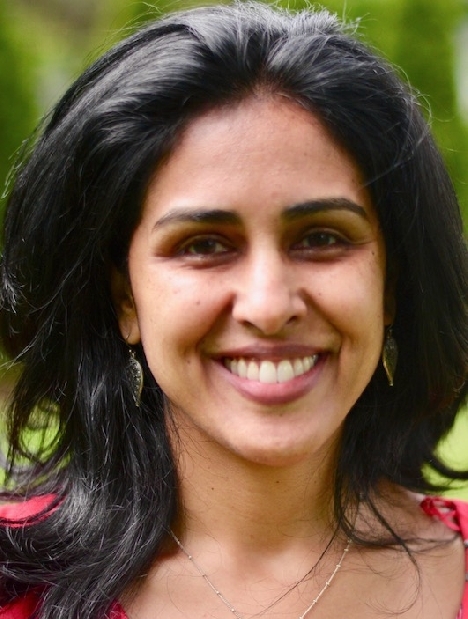 Dr. Teena Purohit is Associate Professor of Religion at Boston University. A scholar of South Asian religions with specialties in Muslim and Hindu devotional literature, religious identity formation, and modern Islam, Purohits particular interests revolve around theoretical issues like conceptions of religion in modern Islam and the impact of colonial forms of knowledge on modern Muslim intellectual thought. She teaches courses on Islam, Sufism, modern Islam, religion and politics in South Asia, theory and methods in the study of religion, and Islam and the West. Her first book, The Aga Khan Case: Religion and Identity in Colonial India, was published in 2012 by Harvard University Press. Her current second book project, Making Islam Modern is under contract with Harvard University Press.